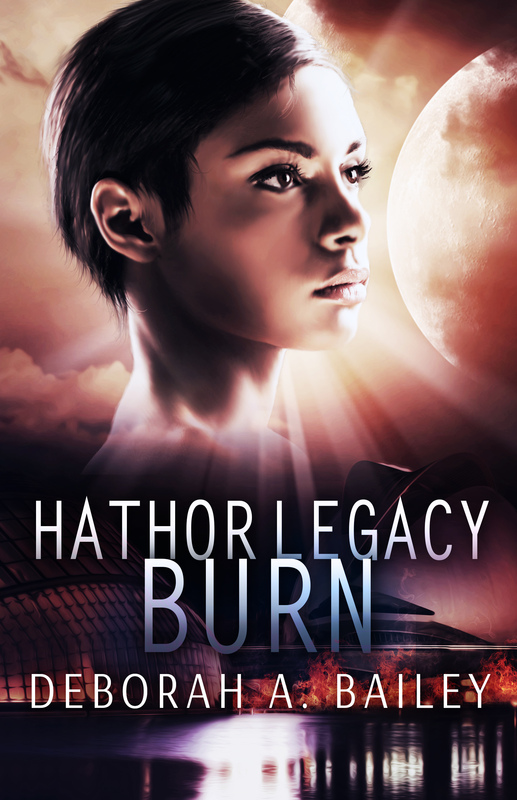 Deborah A. Bailey is the author of HATHOR LEGACY: OUTCAST and the soon to be released HATHOR LEGACY: BURN. She is also the author of a short story collection, ELECTRIC DREAMS: SEVEN FUTURISTIC TALES. 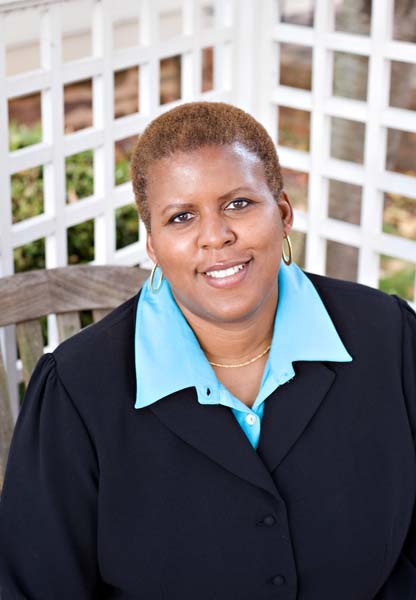 Deborah is also a writing coach with three non-fiction books including Think Like and Entrepeneur: Transforming Your Career and Taking Charge of Your Life. She’s here to talk about her fiction with us today. RK: What made you decide to write fiction? Was it a lifelong dream? DEB: Yes, it was. Over the years I wrote short stories, drew my own comics, wrote fan fiction and eventually starting writing novels. I love creating worlds from my imagination. It’s a lot of fun. RK: What attracts you to SFRomance? DEB: Well, I’ve read a lot of sci-fi over the years. The first sci-fi story I read was by Arthur C Clarke, and it was an assignment in a college English class. But most of those authors didn’t spend much time on relationships, and if so, it was from the male point of view. For me, SF Romance is a perfect blend of character-driven stories with technological themes, and of course a lot of adventure. RK: In your HATHOR LEGACY, Nadira has telekinetic powers and does not always seem comfortable with her skills and abilities. How did you go about creating the character? RK: Do you have a particular writing routine? DEB: I wish I did! Unfortunately I have no love for schedules, so it’s hard for me to stick to a hard and fast routine. I’m very much a sprinter who will rush to the finish line when a deadline is looming. But I’ve managed to get myself into a flow of writing most days. When I’m really focused, I can do about 2-4K words per day. I wish I could do more, but real life has its own demands. RK: There are so many publishing options available to writers now. How has the rise of indie, epubs, and other options affected your writing career? DEB: To be honest, without indie pubbing, I wouldn’t be here right now. Once I decided to get my book out there, I researched the options and I went for it. I’ve had short stories published over the years, but I never finished a novel until I completed HATHOR LEGACY:OUTCAST. When I worked in corporate IT, I stopped writing because I thought I’d never be published. Unfortunately I listened to the naysayers who convinced me that I should be practical. Work in a good company, retire, then do what you want. Instead, I escaped corporate, and became a freelancer. Then I decided to start working on one of the many novel ideas I had in mind. It’s great to have options. RK: Can you tell us a little about your upcoming projects? DEB: I’m going to work on book three of the HATHOR LEGACY series, which will be completed next year. But in the meantime, I’m working on a couple of novellas. I love writing and now that I’ve started it again, I won’t stop. It’s exciting to finally get my ideas out into the world. RK: If you found out one of your family members was really an alien hiding out on earth, what would you do? DEB: HA! It’s all depends on which family member! But I’m sure I’d want to know all about their planet. Give me the details! As long as they’re nothing like the Twilight Zone, “To Serve Man” aliens, it’s all good. RK: Do you see yourself as more Starfleet or Rebel Alliance? DEB: What a question! I’m a Star Trek fan girl, so I’ll have to go with Starfleet. DEB: Mr. Spock. I’ve had a crush on him for many years. Original Spock and reboot Spock are fine with me. I’m not picky. But seriously, I love the idea of adventure and exploration. It would be so cool to be on a ship bound for deep space. And if I get bored, I can check out the rebels and see if I can hang with them for a while. Available free on Kindle 7/28-7/31! thanks so much for stopping by Deb! I share your love of Spock.